This hat and mitten set works up quickly and makes a great gift. The beautiful colors in the Gerbera print create a striking striping pattern with the illusion of more complex color work. 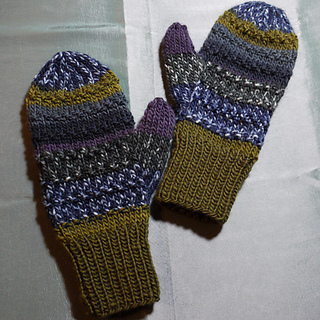 Gerbera solids coordinate for the contrasting ribbing on both the hat and mittens. 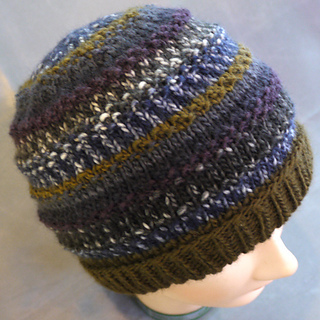 The texture is created with easy Seed Stitch-based pattern stitches. Both the hat and mittens are worked flat, on two needles, and seamed. These pieces are part of a collection created for the Universal Yarn Design Partnership Collaboration. Photo on model by Shane Baskin/Blackbox Studios.